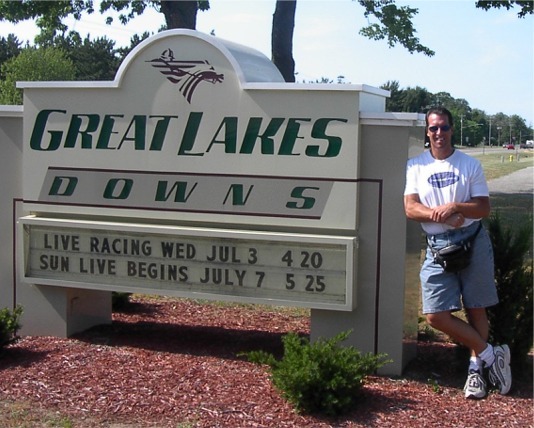 Me hanging in front of the Great Lakes Downs sign on my way into the track. Load 'em in and let 'em go. 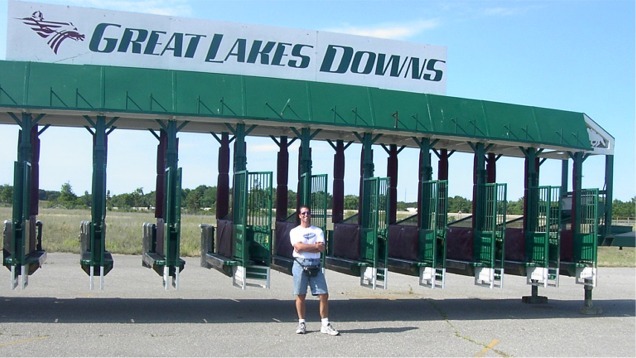 Me in front of the GLD Starting Gate. 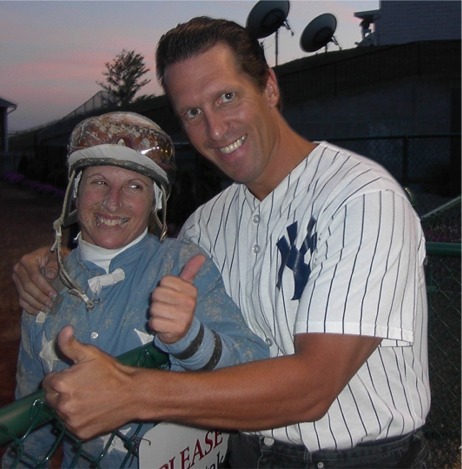 Jockey Lori Coburn's face might be dirty, but her smile is definitely a thumbs up and look she catches on quick what to do when a picture is snapped. Jockey Lori Coburn, me and Denise Bennett with the ultimate thumbs up pic don't ya think. This pic rules! It took Denise 1 picture to find out what to do when she is in a picture with me. he he! Me and the lovely Denise Bush Bennett after her race at GLD. 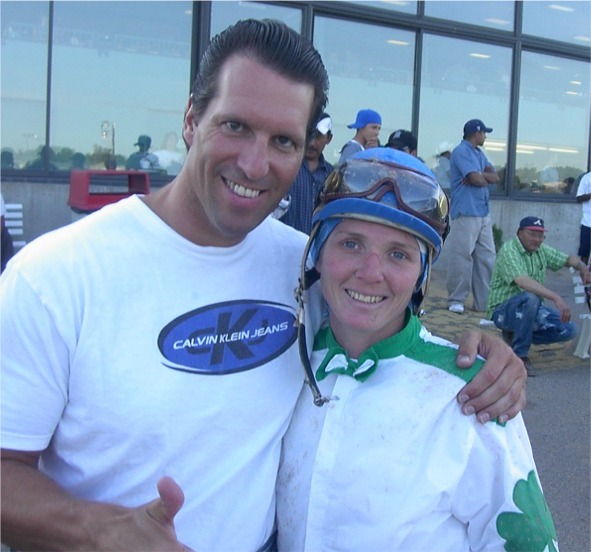 Ex jockey Janell Gruss knew what to do when a picture is snapped for my websites. Mary Doser's smile and dirty face say it all.